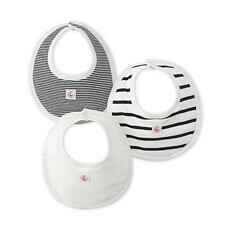 Welcome a new baby with this special newborn gift. The "Baggio" bear by Happy Horse is a cheerful plush friend with lots of character. 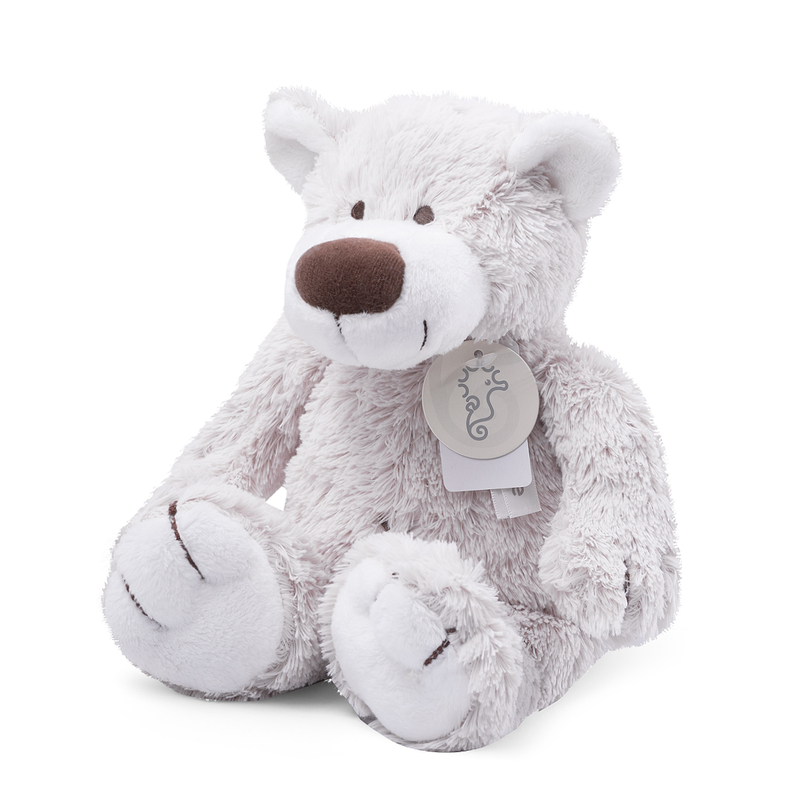 Children love to cuddle this soft teddy bear with the friendly face. Like all Happy Horse toys, Baggio meets the highest European safety standards and carries the genuine CE-logo. 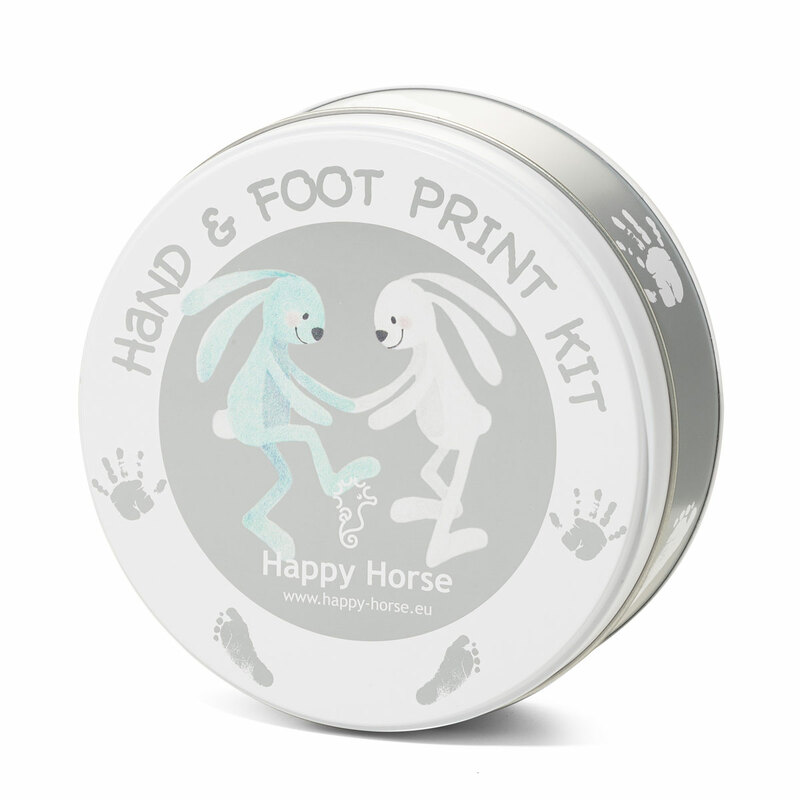 The new parents will love the hand and foot print kit for capturing precious memories. This sweet baby gift is perfect for a boy or a girl. 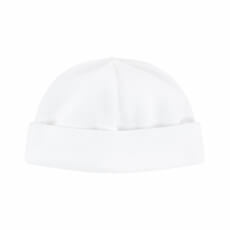 White gift bag included.